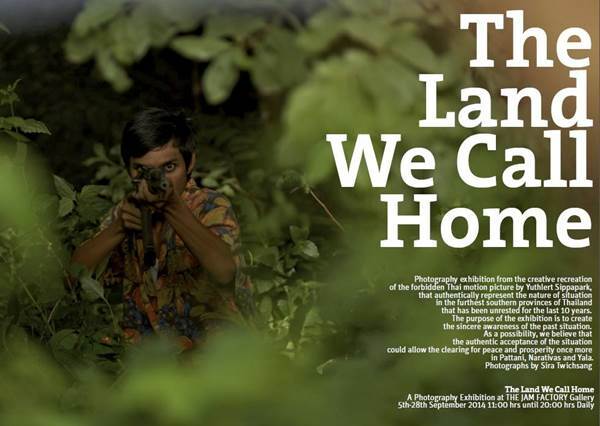 Photography exhibition as a creative recreation, from the forbidden Thai motion picture by Yuthlert Sippapark, to authentically represent the nature of situation in the furthest southern provinces of Thailand that has been unrested for the last 10 years. The purpose of the exhibition is to create the sincere awareness of the past situation. As a possibility, we believe that the authentic acceptance of the situation could allow the clearing for peace and prosperity once more in Pattani, Narathiwat and Yala.